It has started to get a little colder in the mornings here in Colorado and the snow has been falling in the mountains so I fancied making some new mittens to keep my hands warm. 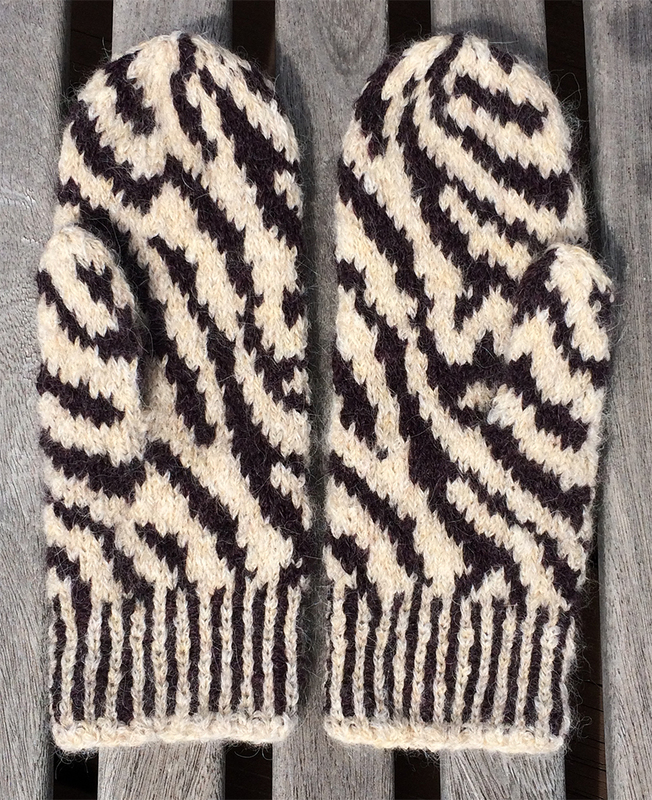 And……here they are…..my Zebra Mittens! My new mittens came about because I wanted to design something that only required two 25g balls of Rowan Alpaca Merino DK that I had been given by Rowan; one in a cream shade called Saxon and one in mulberry brown shade called Stamford. Initially I was thinking about designing a scarf or a cowl but quickly moved onto the idea of mittens. I continued onto the question of which stitch to use. While researching a suitable stitch pattern which combined these two shades I came across loads of different animal skin images: giraffes, tigers, leopards, zebras. I was drawn to the zebra skins and used this as the basis for the charts, editing it so it worked in the round. All along I had decided I wanted to use a two colour slip-stitch rib for the cuff so that meant I was ready to go. 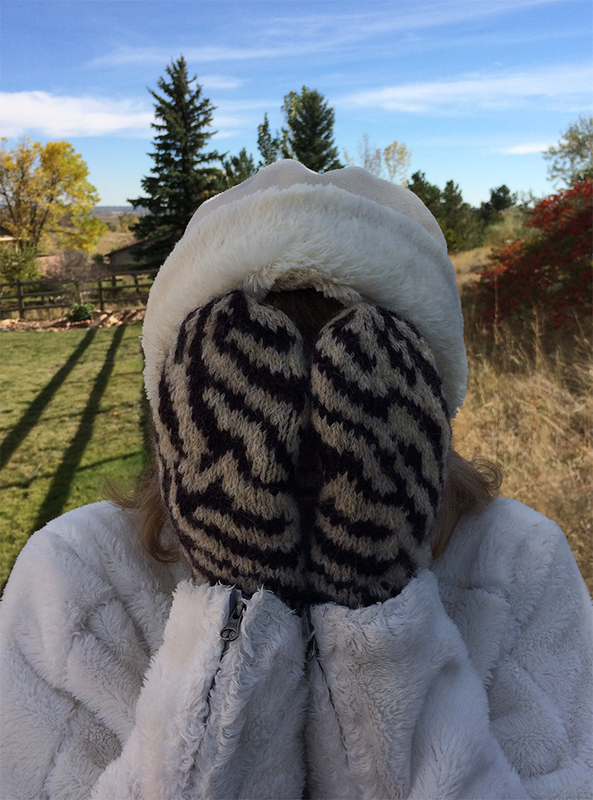 Even though I have designed these mittens myself I do love them! They are soft, cosy and extra warm as the cuff is knitted using a stranded slip stitch rib and the zebra patterned mitten body is knitted using the fair isle stranded technique, so it’s like having a double layer of fabric around your hands. If anyone would like to knit these for themselves or give them away as Christmas presents you can download the pattern on Ravelry: click here. The yarn, Alpaca Merino DK which is new for A/W 2015, is a super soft extra lightweight yarn with a fibre content of 7% wool, 83% alpaca and 10% nylon. I always find that alpaca yarn has a beautiful soft weightless feel to knit and wear and this is very true of this yarn too. The chainette construction of the yarn adds to this weightlessness and makes it extra lofty and warm. It comes in a great range of 10 shades……. so if you want to knit up my mittens in a different colour you can! 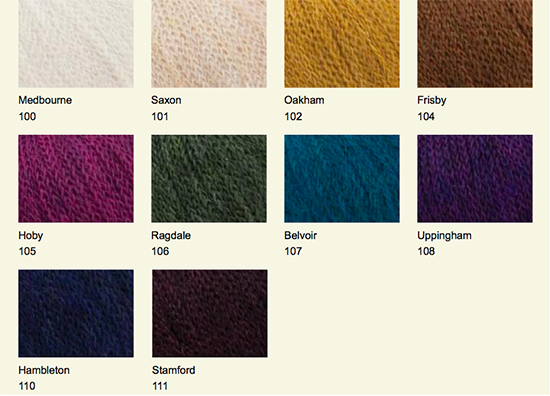 How about, from left to right: Saxon and Hoby; Saxon and Belvoir; Stamford and Oakham; or Stamford and Hoby……. ………. or whatever colour combination you like. Knitting something small like a pair of mittens or a scarf is a great way to decide if you like the look and feel of a yarn while keeping the cost down but if you want to make something more substantial take a look at the Winterscapes Collection from Rowan. Now that I have knitted with Alpaca Merino DK and worn and washed my mittens successfully, I would love to knit and cosy up in Etherow, Langsett and Toost as I think this yarn is gorgeous! 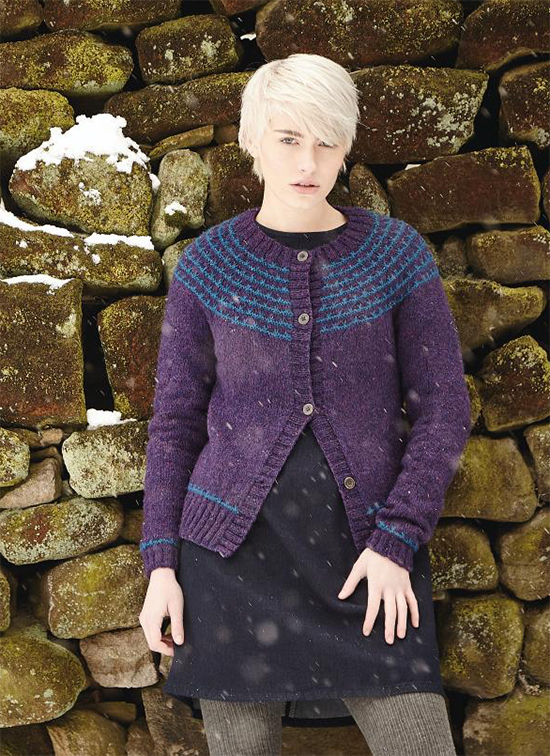 If you would like to see more designs using Rowan Alpaca Merino click here which will take you to Rowan’s website. Have you used Rowan Alpaca Merino DK? Do let me know your thoughts and what you made by leaving a comment below. 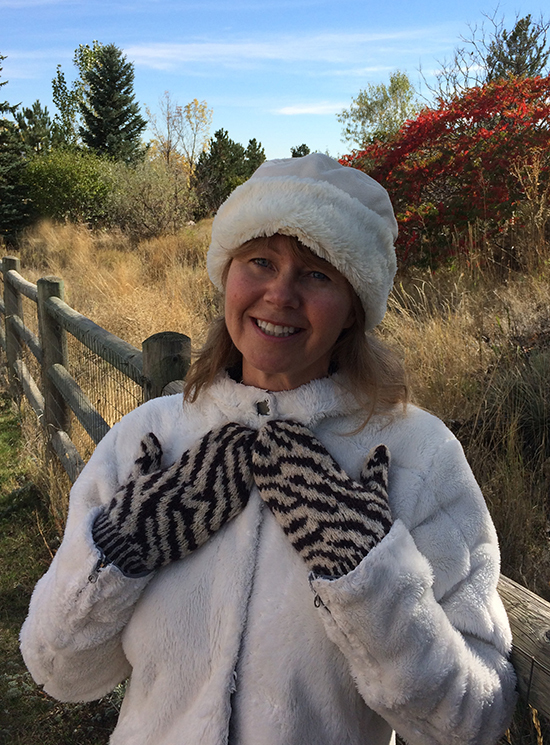 Thanks for reading my blog and don’t forget to click here to buy a copy of my Zebra Mittens pattern! This entry was posted in My designs, Rowan Yarns Collections and Newsletters and tagged Alpaca Merino DK, Mitten Knitting Pattern, Mittens by Esther. Bookmark the permalink. Thanks for your reminder email. I must get a pair of these on my needles they look fantastic. Your’re very welcome Rose……and thanks for the ‘cool’ compliment! Thanks for the free download Esther. The mittens look lovely. These mittens are simply super cool. Absolutely fashionable for all of us. Thank you very much for sharing. Thank you very much for sharing this cool mitten pattern. Think these can work for a guy? I wasn’t sure if they would be OK for a guy. So, I asked my husband and he said a definite no. Even in a dark colours he thinks no…..especially as they are mittens and not gloves. I think you would have to ask the guy you want to make them for first, just to be sure. Thank you, These mittens are awesome! Thanks Helen! I have to say….I think they are awesome too!